On December 8, 2008, the MCAS Miramar F-18 aircraft never finished its approach. It lost the remaining engine, and the pilot safely ejected over University City High School. The F-18 then crashed into homes just east of U.C. High School. 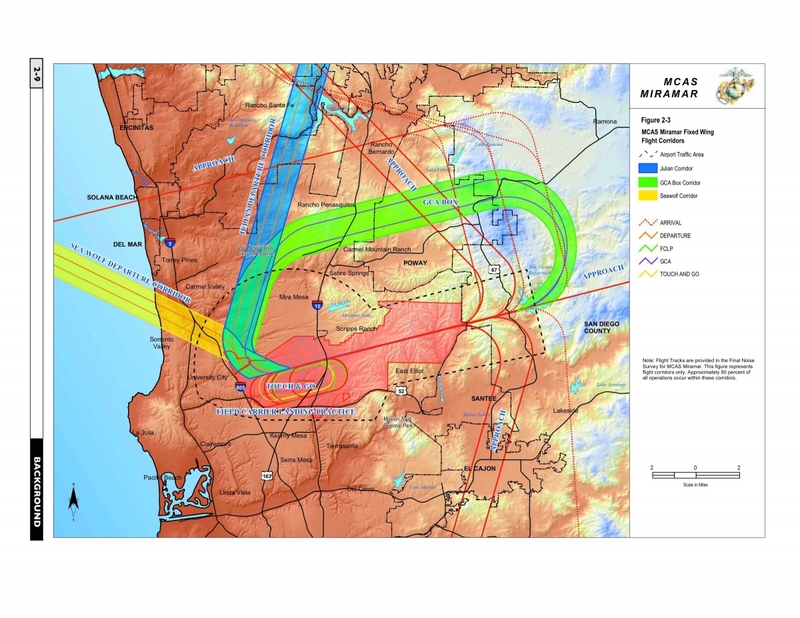 This west to east approach (straight-in to Miramar RWY-06L) used by this aircraft is not included in the Air Use Planning (AICUZ) documents and is not normally used because it presents an unacceptable hazard to a densely-populated neighborhood. 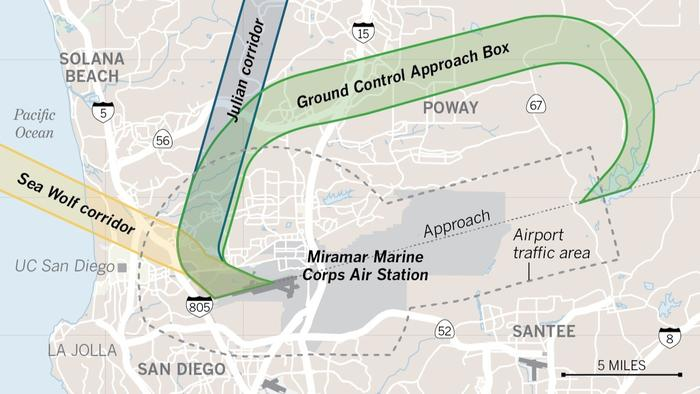 Aircraft approaching MCAS Miramar are normally routed further east of the airfield over mostly unpopulated land. Our small group includes veterans and aviation safety experts who have been documenting, almost every single flight day, the ways in which MCAS pilots violate their own safety rules. These violations include excessive airspeed, altitude and noise violations and, most detrimental to the safety of our neighborhood, repeated unauthorized and unsafe flight paths like the one that ended in tragic deaths in 2008 and continue to endanger the residents of our neighborhood. 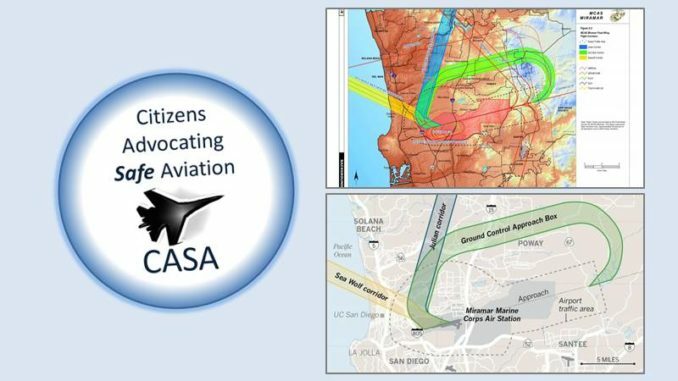 To ensure our neighborhood’s safety by insisting that MCAS Miramar leadership and the FAA remain accountable to their own flight safety and noise protocols. To educate the public and our elected officials about activities that affect the safety, welfare, and quality of life of our neighbors (in our homes, schools, and businesses). To provide documentation so that we and our elected leaders can be informed and successful advocates for accountability and safety.